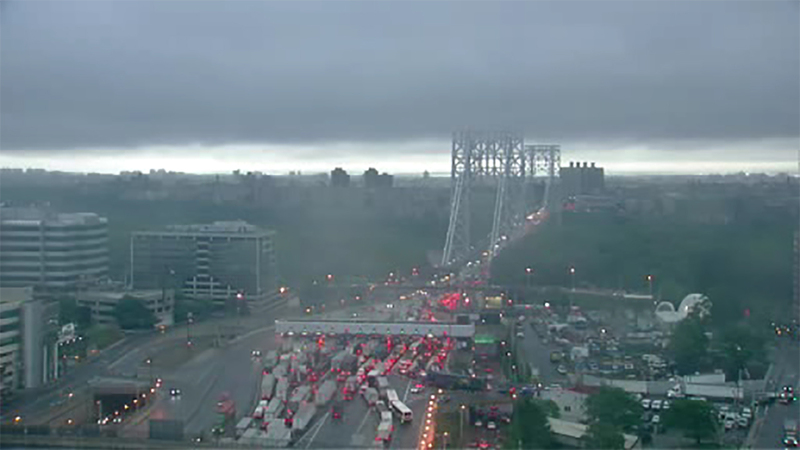 NEW YORK (WABC) -- Commuters faced massive delays Tuesday morning at the inbound George Washington Bridge after an accident on the Cross Bronx Expressway. The crash just before 5 a.m. involved three tractor trailers in the area of Jerome Avenue on the Cross Bronx. Only one lane was getting by. Delays stretched back to the GWB, where backups of at least two hours were reported on the upper level from Routes 80 and 95 heading into New York City. There were also delays of at least an hour at the Lincoln Tunnel and 30 minutes at the Holland Tunnel as drivers sought alternate routes. The accident scene on the eastbound Cross Bronx was cleared shortly before 8 a.m. and all lanes were reopened.